Having seen both good (UK Tour starring Craig Urbani and David Sellings several years ago) and bad productions of this classic Cole Porter show I wasn’t sure if the revival of Kiss me, Kate at The Old Vic would be to my taste. However, the rave reviews the show has received lead me to believe that I was probably in for a musical theatre treat. First of all I have to say that I like The Old Vic as a theatre and I keep telling myself to go there more often. I have watched some wonderful plays there but this was my first musical in this theatre. And while I think this house isn’t suited for every kind of musical this classic show with its wonderful dance numbers is absolutely perfect for the Old Vic. Trevor Nunn is the director of this production and if you are familiar with his work you know that he doesn’t do short shows. The running time is marked in the programme with 2 hours and 45 minutes including a 15 minute interval. I would say it was just under 3 hours in the end. However, I left the theatre not the least bit bored or tired from watching such a long show which really speaks for itself. The interesting and unusual thing about Kiss me, Kate is the fact that the audience gets to see a show that is set both backstage and on stage. The scenes switch between a musical production of The Taming of the Shrew and the happenings backstage at said production. If done the right way this is an interesting mix that keeps the audience entertained throughout the show. 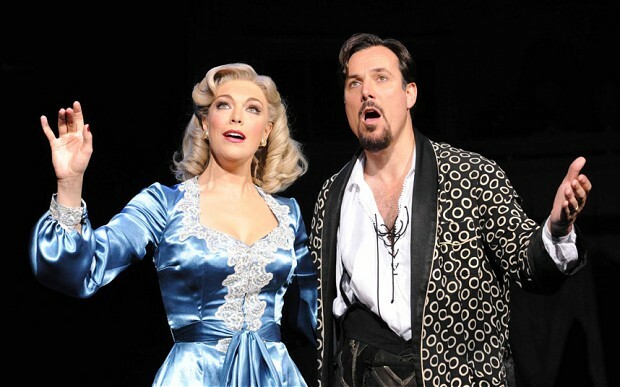 And this production of Kiss me, Kate is completely wonderful and mesmerising through and through. Hannah Waddingham and Alex Bourne steal the show as divorcees Lilli Vanessi and Fred Graham. Their comic timing is outstanding and they have the perfect on stage chemistry. I admit my main reason for booking tickets for this was the prospect of seeing Adam Garcia dancing again. And that is exactly what he does: He dances like the “Tap God” he is! Besides, it is impossible to not be charmed by that cheeky, boyish looks of his. David Burt and Clive Rowe are highly entertaining as the likeable hoodlums. I have always found “Brush up your Shakespeare” to be a bit of a lengthy number and although parts of the number do make me laugh I still can’t bring myself to really like it – but that is clearly just down to my personal taste as the number got one of the biggest rounds of applause on this occasion. One of my personal highlights has to be “Too darn hot”. 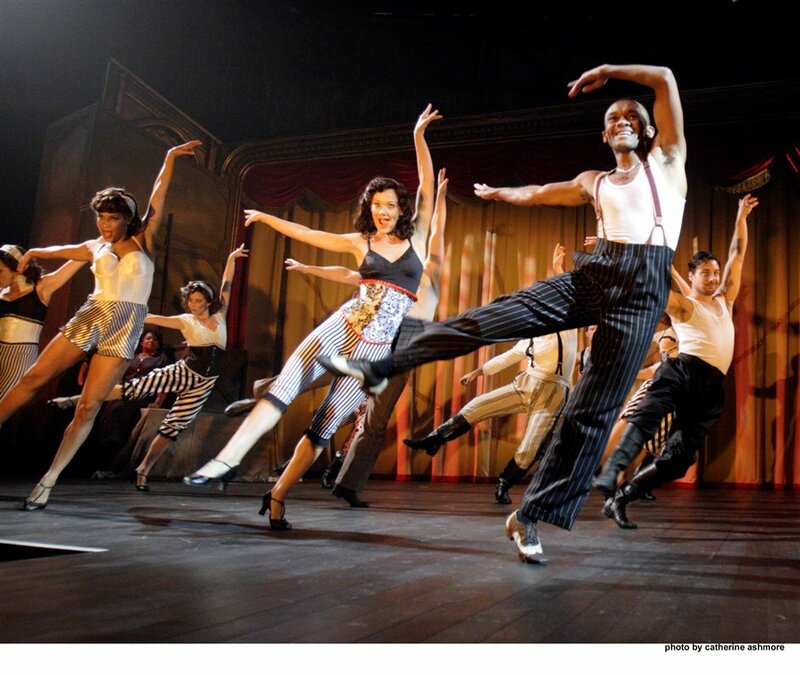 The choreography for this song is nothing but brilliant and Jason Pennycooke is such a joy to watch. This show is an absolute must see for every musical theatre fan. Who knows when we will see such a slick production of Kiss me, Kate with such an outstanding cast again – so don’t miss out! Kiss me, Kate is running at The Old Vic until 2nd March 2013. or more info and to book tickets go to http://www.oldvictheatre.com/kiss-me-kate/.